J.J. seems to have changed things. 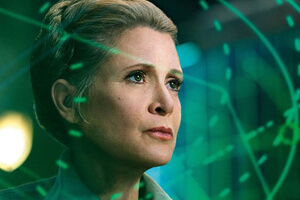 On Friday, July 27th, it was revealed that Princess Leia will be in the rest of the series using footage intended for, but never used in, Star Wars: The Force Awakens (episode VII). Star Wars: Episode IX is directed by J.J. Abrams and opens in theaters on December 20, 2019.